By now you’ve heard about the unbelievably cute and docile Florida Manatees. 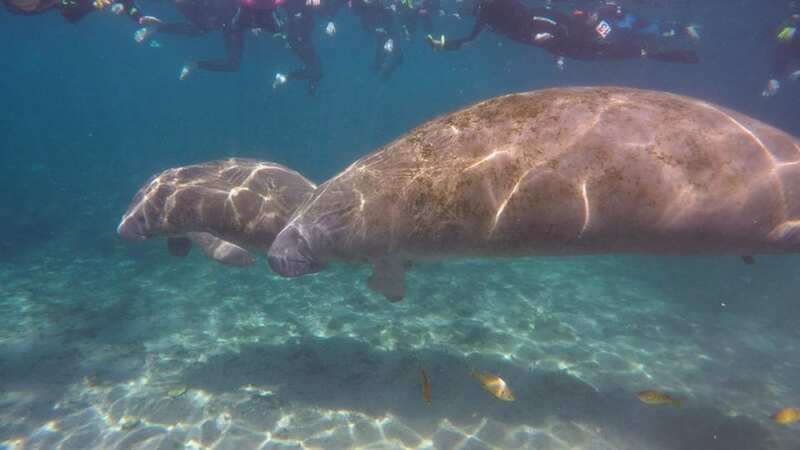 You’re itching to experience swimming with manatees for yourself. Your mind is exploding with a million questions about how to see manatees in the wild. 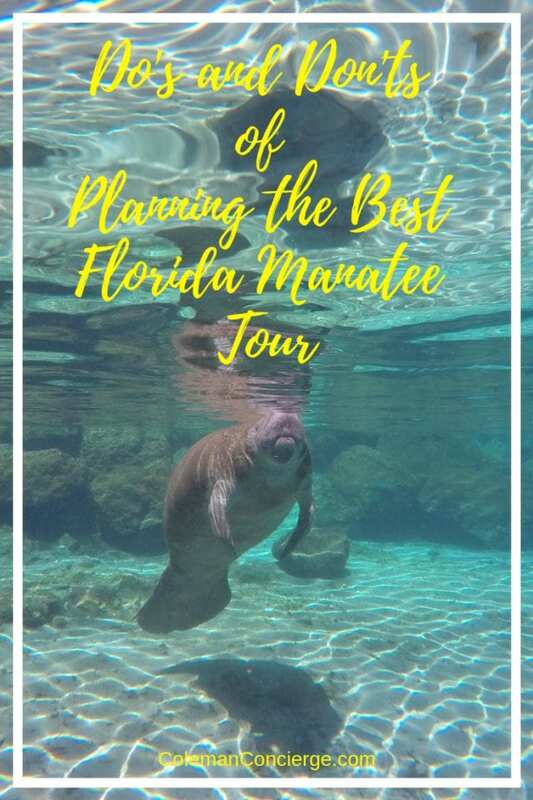 As Florida locals, we have made many manatee trips, so we put together this list to encourage everyone to have positive and rewarding manatee experiences. 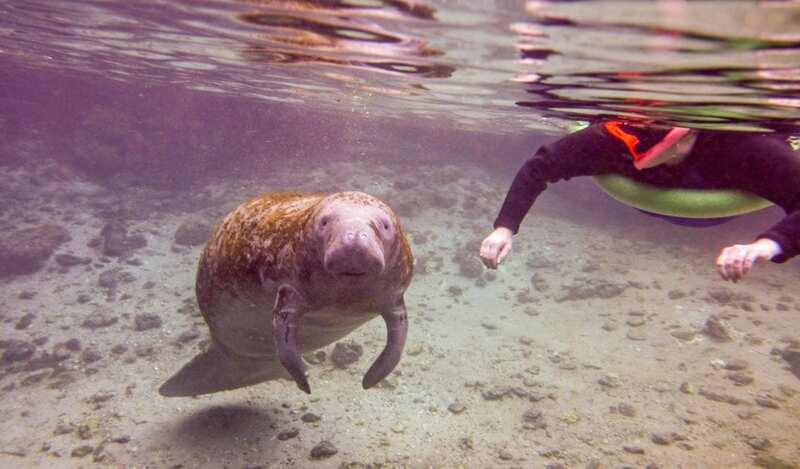 We think there is no better eco-experience in Florida than swimming with manatees. 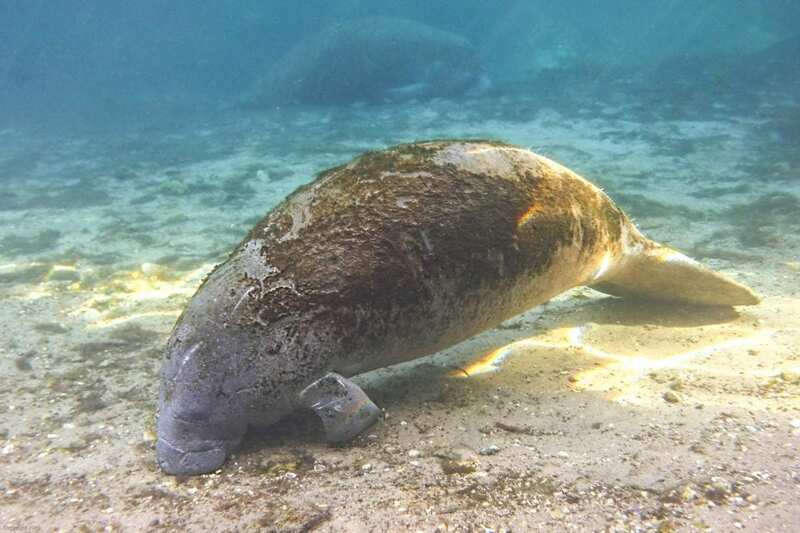 Florida Manatees roam from Texas to Massachusetts during the summer but congregate in the warm waters of springs and power station discharge during the winter. Manatees fill these sites when the water temperature drops below 68 degrees. Usually, the peak manatee season is between December and March. 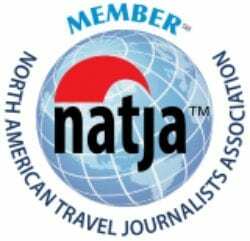 The week between Christmas and New Years and President’s Day Weekend are the busiest times for tour operators. 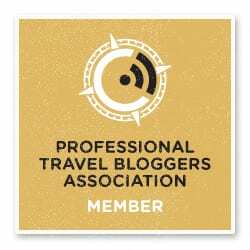 Not only does this present logistic challenges for booking rooms and trips, but it increase the chance that there will be “one of those guys” in the water with you. The tour operators do a great job keeping down egregious behavior, but it takes super quiet guests for the manatees to feel safe enough to initiate interaction. (more on that later). That being said, if the only time you have available is a holiday, then it’s still absolutely worth going. We know first hand about the previous warning because of Our President’s Day Manatee Trip. Two friends (Janiel from Culture Trekking and Katie from Traveling Spud) came to visit because that was the only weekend they could make it into town. We added a local friend Joe and his girlfriend, Emily. Our travel posse was set and ready to go. 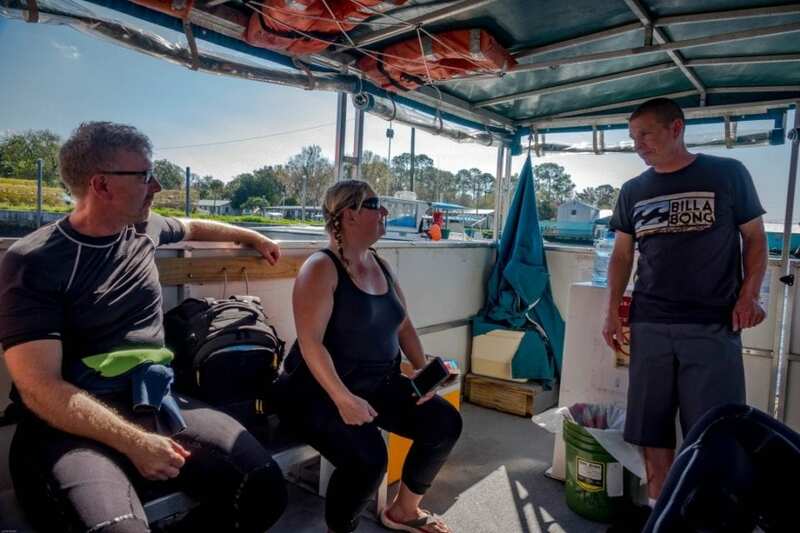 This was the first manatee trip for Janiel, Katie, and Emily. They fell in love with manatees, President’s Day Weekend and all. Make no bones about it. You are in charge of your group. It’s not up to the tour company babysit your kids or to chaperone your friends who act like kids. 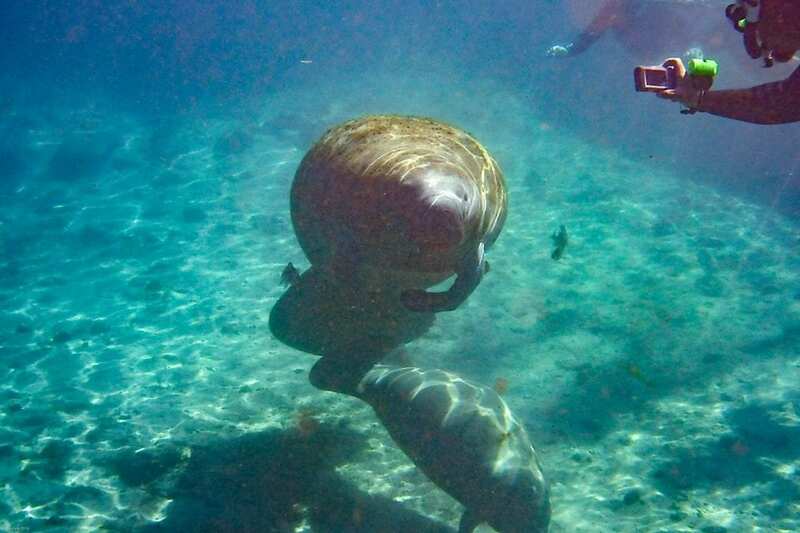 Don’t get me wrong, taking kids to swim with manatees is incredible if they can handle it. It’s just that the best way to avoid socially awkward situations where you are “those people” is to not take those people into the water in the first place. For what it’s worth, our Bird’s guide did have a talk with the bouncing kid from the GIF below and got him to settle down a bit. By comparison, you can see how calm the snorkeler is in the title picture and how close the manatees came to him. Manatee manners are not only good for the animals but good for your enjoyment as well. It’s a win-win. Everybody should see manatees and learn about their special needs and protection. Heck, “those people” are probably going to be the ones speeding through a no-wake zone when they get a boat so educate, educate, educate. Just know your kids and know your friends before you go. If you don’t think they will be comfortable in the water (you float for about 20 minutes on each stop) or respect the rules then consider taking them to Three Sister Springs Park, Blue Springs Park, Tampa Electric Manatee Viewing Center, or any of the other places where you can observe manatees from the shore. We wrote an extensive guide about swimming with manatees that’s an excellent resource if you want to learn more but here’s the short story. Winter manatee aggregation is unique to Florida Manatees because they are tropical animals. The only reason they can live this far north is because of Florida’s springs pumping out warm water year round. While it’s always neat to see manatees, it’s an entirely different experience if you’re in the water with them. Crystal River / King’s Bay is the largest natural aggregation of manatees and the only winter aggregation site that you can enter the water with manatees. 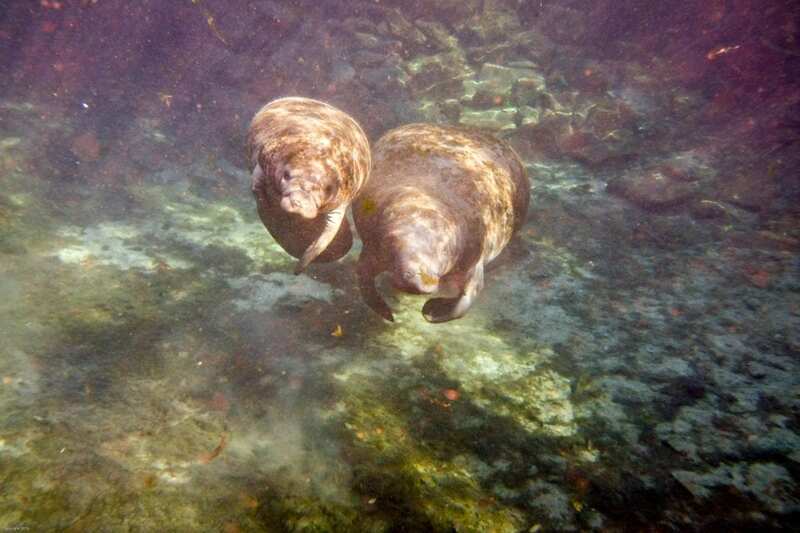 Crystal River, a little town west of Orlando and north of Tampa is the hub of manatee tours. We knew that we were taking our friends to Crystal River to swim with manatees when they came out to visit. 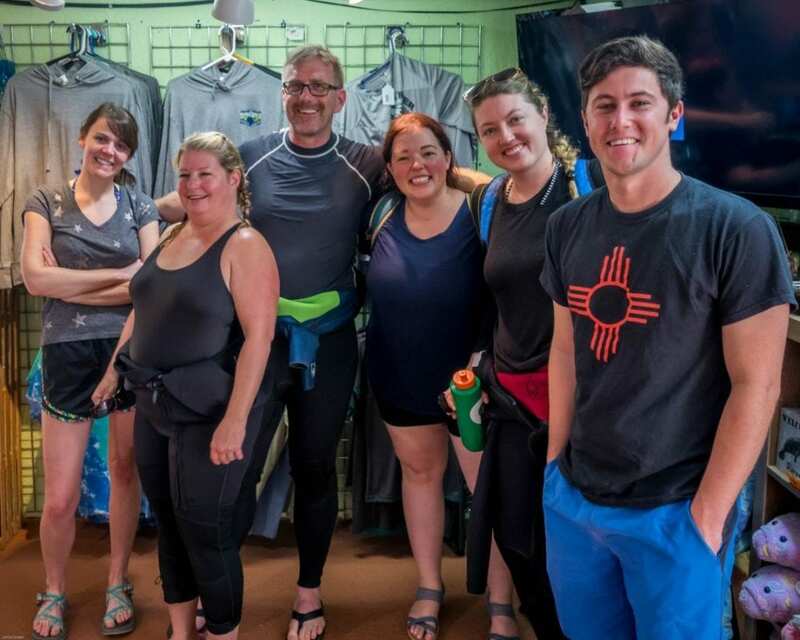 Manatee tours offer much more than specialized gear and instructions on manatee manners. 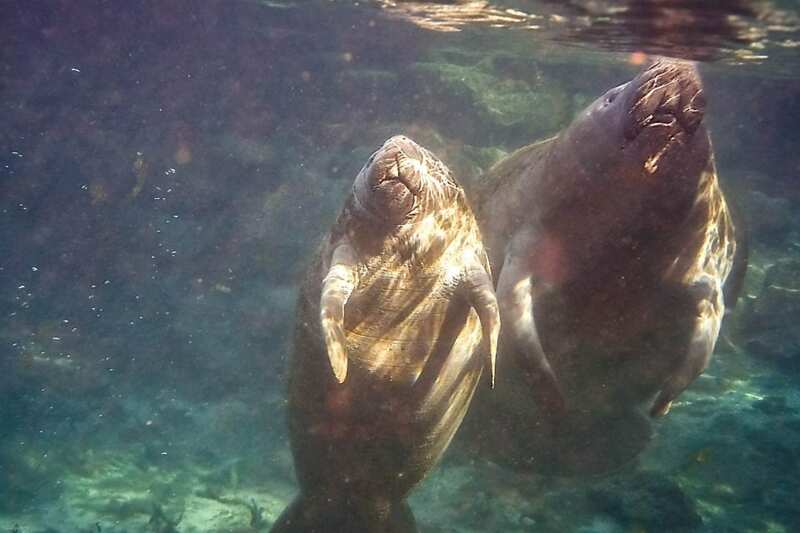 They are your local guides who know how to have the perfect manatee encounter. Often times during peak season, the guides ran a sunset tour the day before. They know where the manatees went to sleep after a day of grazing, so they know exactly where to find them in the mornings. They give radio updates to each other, so they know where the manatee action is happening. 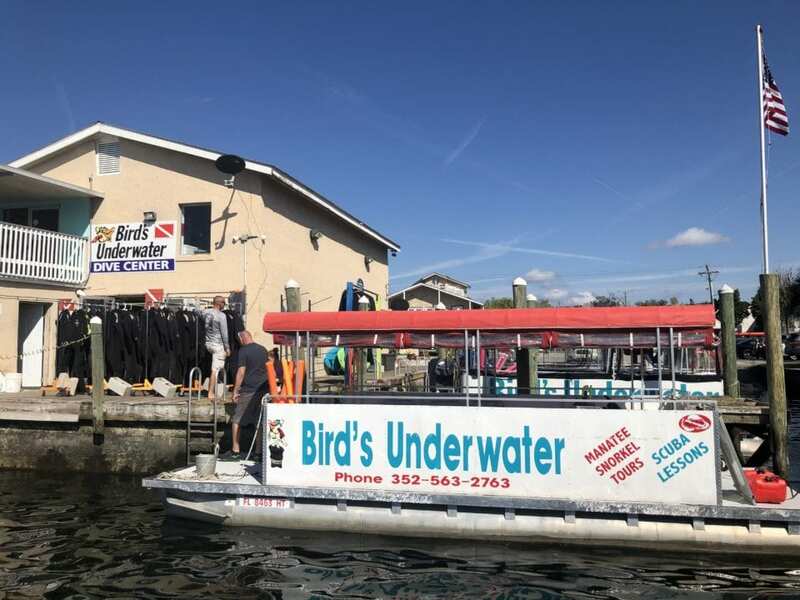 We went with Birds Underwater, one of the premier companies in Crystal River. Even on President’s Day, they found plenty of manatees and put together a great trip. Two things about manatees, they hate cold water and love to eat. Manatees eat about 100-200 pounds of vegetation a day. That means they’ll be grazing for seven hours a day. Since they hate cold water, they will feed during the warmest seven hours in the afternoon. The manatees will be huddled up at the warm, clear spring heads during the cool mornings. 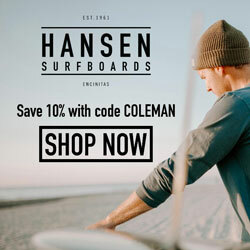 Try to take the first trip out if possible, which is another thing we love about Birds. They offer a 6:00 am manatee tour. 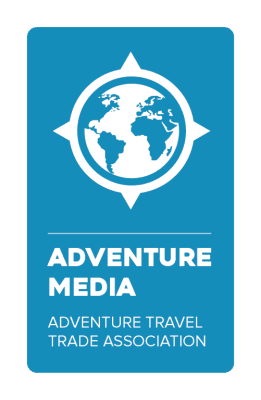 See mermaids at Weeki Wachee Springs State Park – A beautiful nature preserve that’s home to the famous mermaid show in the springhead. 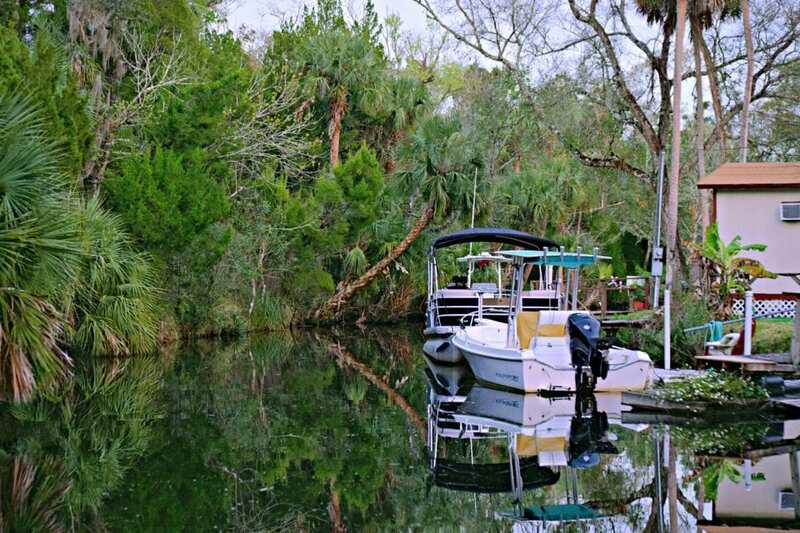 Take a Boat Tour of the Homosassa River – Along the Homossasa you’ll find boat up bars, even more manatees, monkey island, sunsets at the gulf, and that classic old Florida feel. 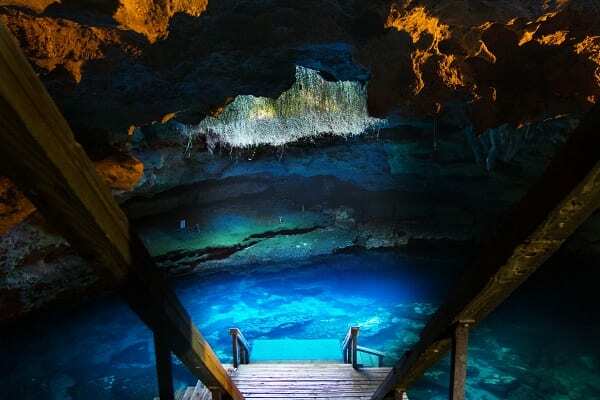 Dive Devil’s Den – A natural cenote (flooded cave) where you can dive or snorkel year round. A uniquely Florida dive site. 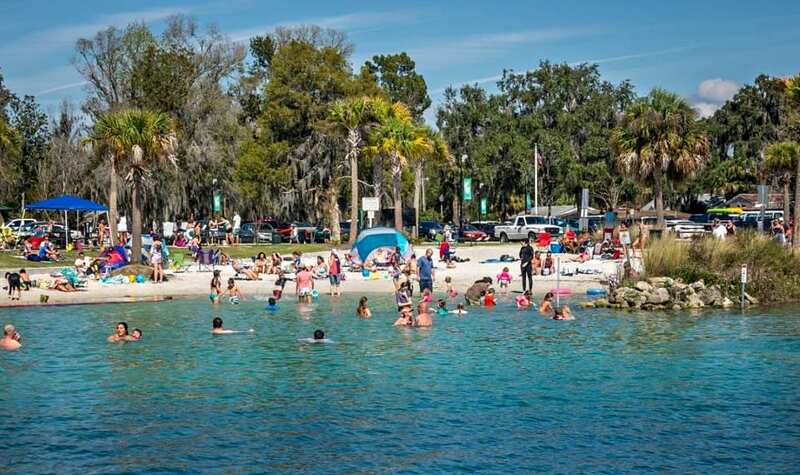 Play in Rainbow River – Florida’s 4th largest spring run by volume. Activities here include diving, tubing, and kayaking. 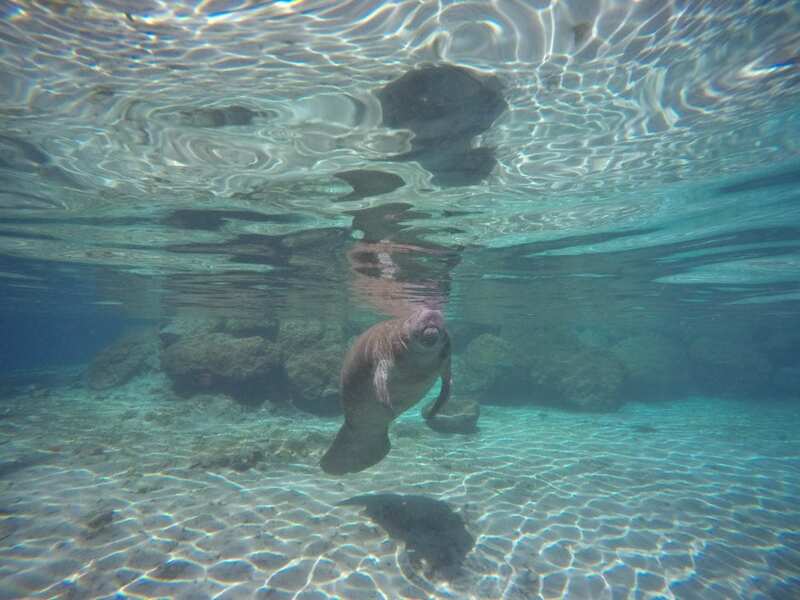 Visit Homosassa Springs State Park – If you just can’t get enough manatees, head down to the manatee rescue center at Homosassa Springs to learn more about what’s being done to protect these gentle giants. Paddle with monkeys in Silver Springs– About 200 wild monkeys live along the spring run at Silver Springs. Of course, there’s always the glass bottom boat too if you don’t want to monkey around. Cruise the Coast to Clearwater – You’ll find more than beautiful beaches on this short road trip. Tarpon Springs is a Greek village that’s the sponge capital of the world and Dunedin is so Scottish you’ll often hear bagpipes in the park. 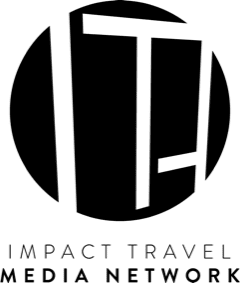 Lake Panasoffkee Airboat Tours – Visiting alligators in the swamp on an airboat is the exact opposite of swimming with manatees in the springheads. Some people say that makes it the perfect complement, like pairing sweet and salty together. Withlacoochee State Trail – 46 miles of rails to trail magic along rivers, in forests, and through small-town Florida. 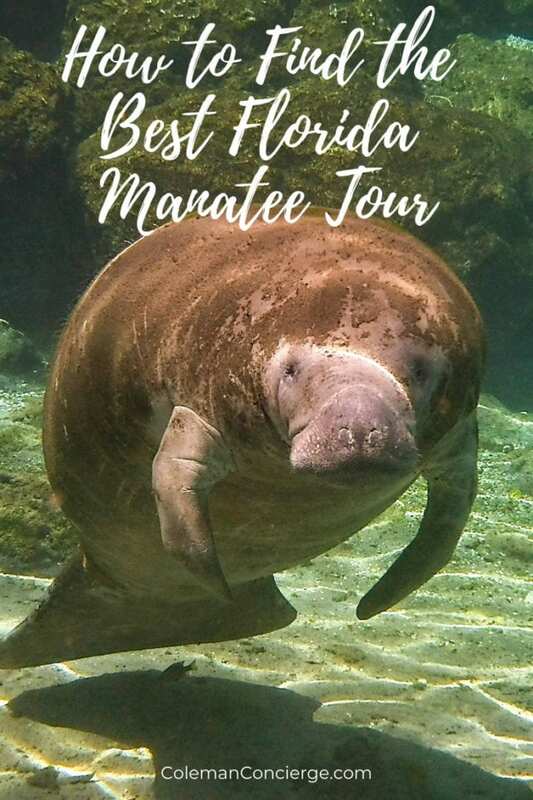 With any luck, you’re inspired to come to Florida and take a manatee tour. 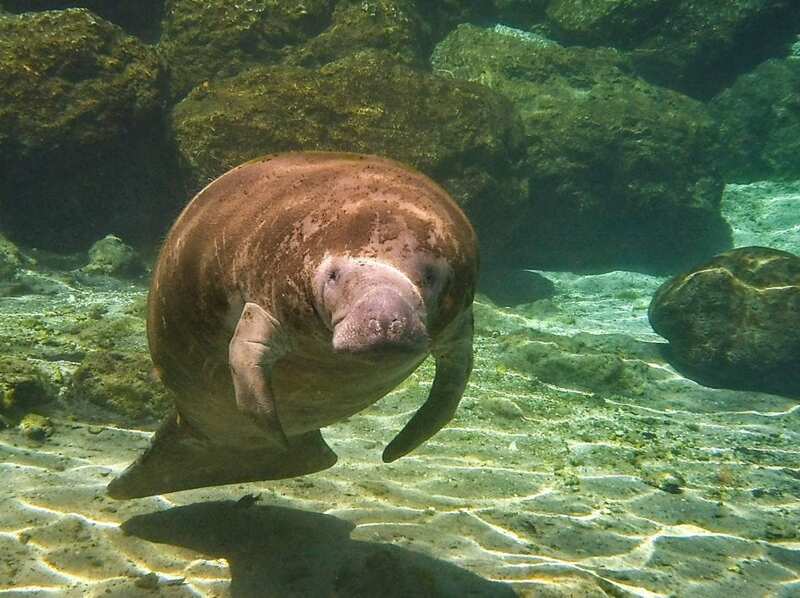 You’re ready to swim with the cutest, sweetest, friendliest animals in Florida. 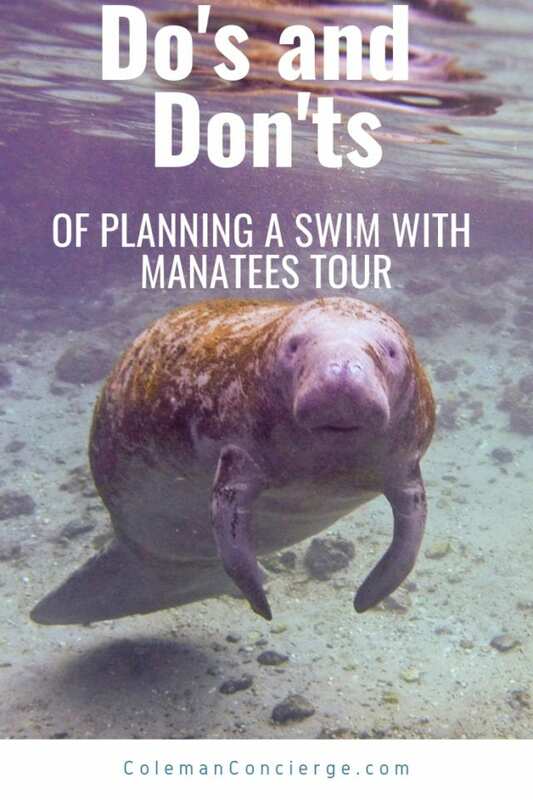 You’re armed with the do’s and don’t of planning a manatee vacation but might have a few more questions. We’ll put those into our quick hitter section below. If you think we’ve missed something ask it in the comments and we’ll get it added to the list. We have stayed at the Best Western, which is right next to Birds and the Holiday Inn Express which had a suite big enough for our whole crew. Both places had hot breakfast included. We had initially wanted to stay in an Airbnb, but they were sold out for the holiday weekend. 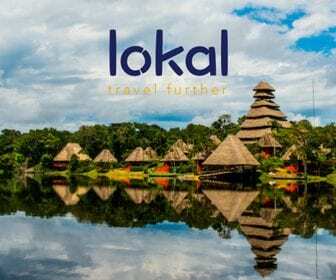 Should you choose to book an Airbnb in the Crystal River or Homosassa area, here’s a discount code for $30 off your next Airbnb stay! Mid-range– Highlander Cafe. A local favorite for food and drink in a laid back environment. Fun night out– Tiki Inspired Crump’s Landing with food, full bar, and live music. Upscale–Vintage on 5th A fine dining establishment in a small town setting. Some of the best she crab soup this side of Panama City. Make sure to get a reservation. The main entrance to Crystal River off I-75 is exit 329. From there it’s 33 miles west on Fl-44 to get to town. Orlando: Take the Florida Turnpike 55 miles west to reach I-75 right at exit 329. Gainsville: Take I-75 south to exit 329. Tampa / St Pete: Take your choice of interior routes that come travel 80 some miles up through Homossasa. The three main options are the slow and scenic coastal route, the fast toll road, and the I-75 / US-98. All of these routes take an 11/2 to 2 hours to complete. 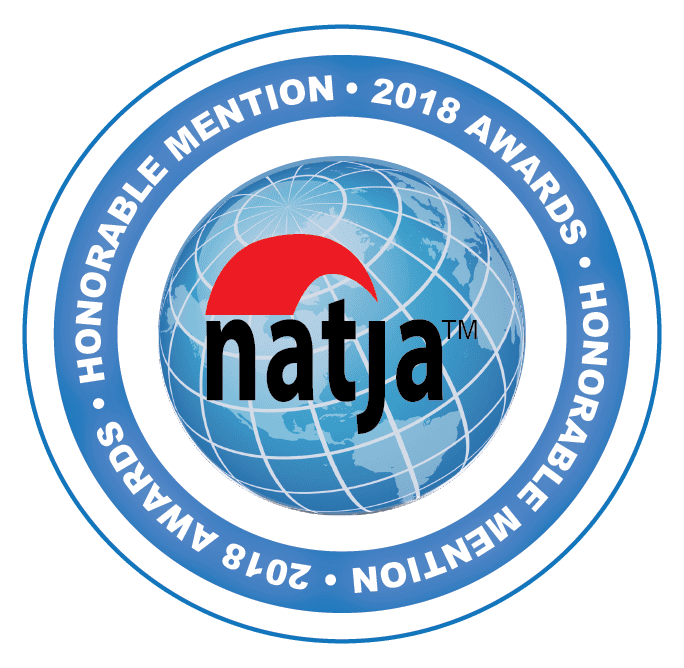 We hope that we’ve armed you with the right information to plan your perfect manatee tour. We love these little guys and we’re sure you’ll love them too. It’s one of the best natural experiences in Florida.